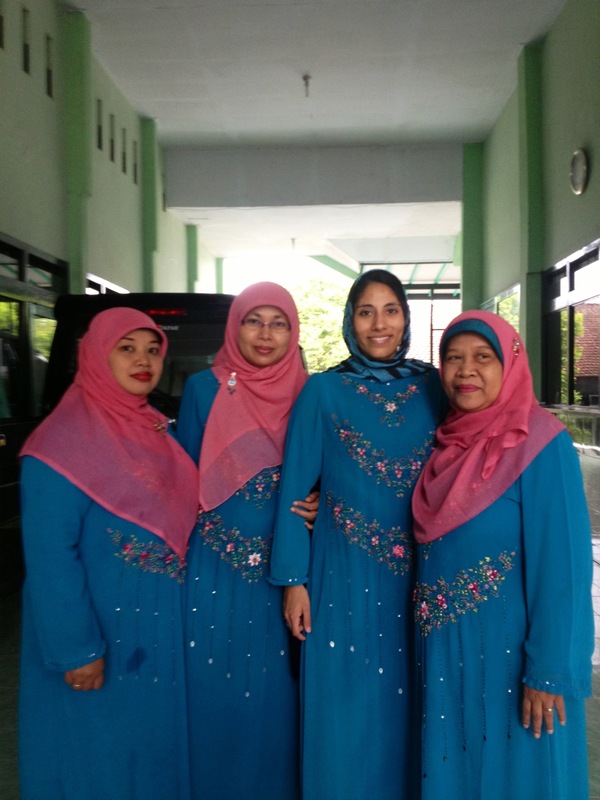 A few teachers and me in our graduation ceremony outfits. As I left the house, my host brother snickered and said I was wearing a “duster.” Hmph! This is a dress, kid. Teacher Problem: Sometimes you are at the mercy of your school’s fashion choices for their uniforms. Tags: duster, fashion choices, graduation ceremony, host brother, Indonesia, Islam, peace corps, peace corps indonesia, teacher problem, teacher problems, teachers, Tefl, uniforms. Bookmark the permalink.